Produced from 100% natural rubber latex. Freddie is a squidgy tiddly toy – just right for tiny babies and tots and a favourite in our household. 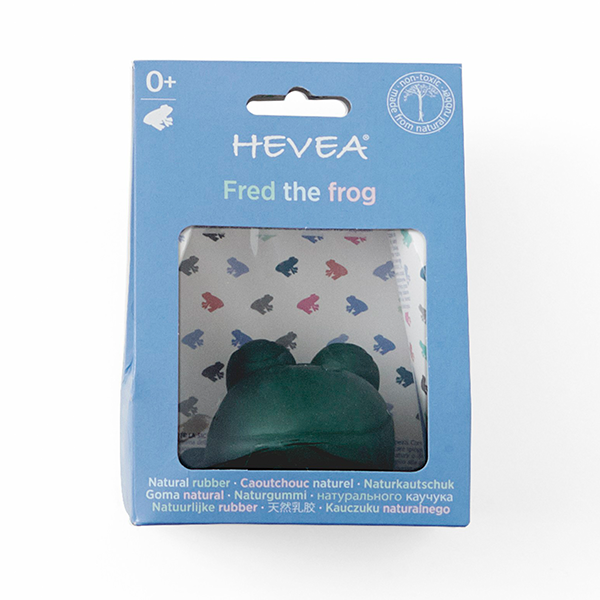 Hevea’s 100% natural rubber bath toys are soft and malleable to the touch, yet durable. Easy to grasp and squeeze for even the tiniest hands they help to encourage baby’s all-important early development skills. 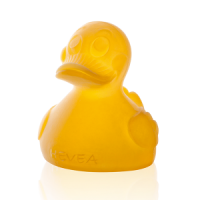 Made from sustainably produced 100% natural rubber, Hevea’s safe and fun bath toys are non-toxic. They are BPA, phthalates and PVC free and contain no added colours or synthetics which make them safe to chew on and bathe with. There are no perforations/holes in the bottom of the toys, unlike most other bath toys, which eliminates grime and mould build up inside, keeping your baby’s bath water safe. They also float upright in the water. Oh and they also don’t make a squeaky noise, so they are kind on the ears as well - what’s not to love! 5 cm tall. Meets EU standard EN71. Made in Malaysia. When the bathing toy is not in use, dry it and keep in a clean and dry place, out of direct sunlight and heat. The bathing toys should be cleaned by hand or in a machine especially suitable for rubber. They should not be washed in a dishwasher. For a more natural approach to cleaning your bath toys, use vinegar. Mix four parts white vinegar to one part warm water. Submerge the toys completely or apply the solution to each toy with a sponge. 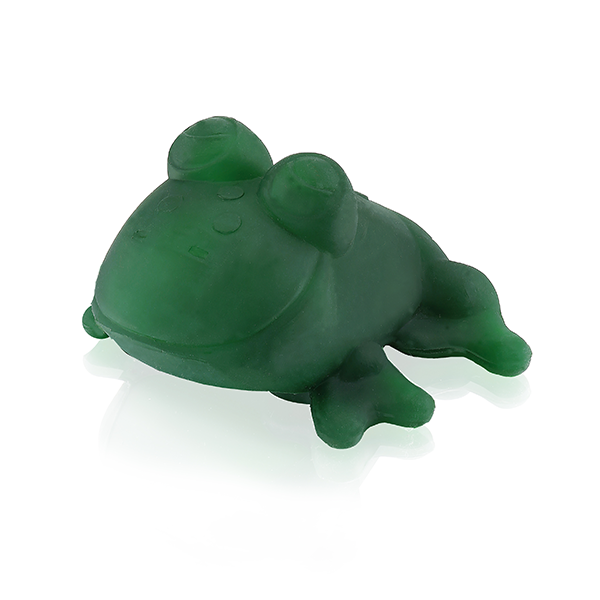 Produced from 100% natural rubber latex and green organic compounds.